* In marking a major event in the life of Woody’s Consumer Brands (Pty) Ltd. Dedicated to the Woody’s team. 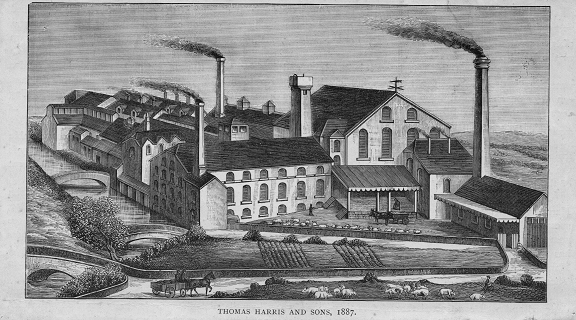 Few companies had the impact on an industry as C&T Harris had on the bacon industry. We focus on a number of points in this article. The importance and role of good quality pork supply from local and foreign sources. The Harris brothers as good butchers. I offer a possible explanation for the exact nature of the first sweet cure they developed and a possible inspiration for the development. The exact nature of George’s strategy and what he wanted to achieve on his trip to America. The force of the central commitment of the company to produce the best bacon on earth. How the introduction of refrigeration fed directly into achieving this goal. How they carefully chose the best curing technique to achieved this goal in a large scale factory environment. The fact that the Wiltshire curing process was in the first place a Danish invention that happened many years before the Harris brothers. The entrepreneurial spirit that drove the company to success by overcoming every obstacle, no matter what it took. Lastly, we high-lite a few lessons for the modern-day curing plant. This is their story. The making of a legend in the bacon world was, as is usual in these cases, the result of several seismic movements of tectonic plates that created the world of C & T Harris and their Wiltshire bacon cure. Several key ingredients were blended together to create a remarkable bacon curing company. One that produced what was hailed around the globe as the best bacon on earth. There was a strong supply of imported pigs from Ireland. Between 1770 and 1800 exports of Irish pork to England increased eight-fold. Over 60% of the Irish imports into England was done to London. (Cullen, L. M.; 1968: 71) The pigs arrived by ship in Bristol and were walked on the hoof all the way to London. Along the way it was important to rest the animals and give them a chance to graze to ensure good meat quality when they arrive in London. The small town of Calne, in North Wiltshire, was a convenient stop-over on the long walk. (wiki.mfo.me.uk). Not only were the pigs in abundance, but they came at good prices and from a diversity of suppliers. Pork is a commodity, the price of which fluctuates on a daily or weekly basis. The price is an indication of its availability and some level of price stability for quality pigs are important requirements for a successful curing operation. It was important back then as it is important today. Availability is driven by seasonal domestic and export demand and external influences such as the supply of the army and the navy. With the English fighting several foreign wars and a large navy to supply, the demand for bacon was unusually strong. There are other factors such as pork disease that impacts on its availability. Even the time of year plays a role since in those days, before the advent of refrigeration, pork could only be cured in the winter on account of it going off in the summer before the cure could diffuse through the entire muscle. It would therefore be a very important benefit to have access of pigs from local as well as foreign sources. The demand and supply in the foreign market will inevitably differ from local trends and the producer is able to exploit low price cycles to ensure low input cost and the best possible quality. For an in depth analysis of the prevailing economic environment, particularly related to Ireland and England during this time readers are directed to “The Economics of the Industrial Revolution,” by Joel Mokyr and “The Foundations of British Maritime Ascendancy – Resources, Logistics and the State, 1755–1815” by Roger Morriss. Three essential ingredients for good bacon were all present by the late 1700’s. An almost unlimited supply of pigs, both local and imported, low prices and a mature local industry for the supply of the principal curing ingredient of saltpeter. The scene is set for an entrepreneur to step forward, mix all the prevailing ingredients together and create a legend! This is how it happened. The first Harris to come to Calne was John Harris in the late 1700’s. He moved there with his widowed mom, Sarah Harris, in 1770. They were living in a small market town of Devizes, about ten miles from Calne. When they moved to Calne, they set up in a small property in Butchers Row. (SB) When he died in 1791 the business was carried on by his wif but on a very small scale. (SB) She ‘thought it a good week if she had killed five or six pigs and sold clear out on a Saturday night’. Two of her sons helped her in the butchery, John and Henry. (british-history) When she passed away, she left in her will £60 to each of her three sons, John, Henry and James. Henry and James were twins, but James had no interest in butchery and became a civil servant. (SB) As John and Henry’s own bacon interests grew over the years, this must have been a story that she told them many times and it must have been a favourite family tale. An interesting question is what exactly this sweet cure was that they introduced. Could it have been that adding sugar to the brine was a completely new concept to Wiltshire and the butchers in Calne? A 1776 liquid cure mix for bacon is given as “4 lb. of salt, 2 lb. of brown sugar, and 4 gallons of water with a touch of saltpetre.” (Holland, LZ, 2003: 9, 10) This salt/water mix was used to cure barrel pork. Barrel pork was a crude process of laying pork joints in a wooden barrel and immersing it in a water brine-mix of salt, saltpeter and sugar. It was food for a poor family, shared by slaves, farmers or wage earners. It was disdained by the elites as “sea-junk”, cured by sopping in brine that imparted a nauseous taste to the meat. (Horowitz, R.; 2006: 45) It is easy to see how adding sugar to barrel-pork was an attempt to improve its taste. Could it be that sugar was not part of the standard dry-cure process employed in Calne and the Harris brothers took this idea of adding sugar to the dry-cure from barrel pork? This account omits sugar, but it also omits saltpeter, a widespread ingredient in bacon cures of this time, which then begs the question if the mention of salt in the 1805 account is supposed to be an exhaustive list. Several factors can be brought into the discussion to try and bring clarity. Bay-salt regularly contains very small traces of nitrite which have a reddening effect in the meat. A second point is that it was a well known practice by certain butchers to omit saltpeter and only use salt. Some curers of this time described using salt alone as a superior curing technique (even though unbeknownst to them, the salt itself probably contained nitrate and nitrite which the saltpeter was added for). A last important factor to consider is that even dry-cured bacon was extremely salty at this time due to the fact that no refrigeration existed. Over-salting was the only sure way to ensure the meat is preserved. So, taking everything into account, in my view, the most likely scenario is that the Harris brothers borrowed the concept of adding sugar from barrel-pork. They added the sugar to the cure, not to give a sweet note to the bacon, but to reduce the salty taste of the bacon. An added advantage of adding sugar is that it enhances the meat flavour. 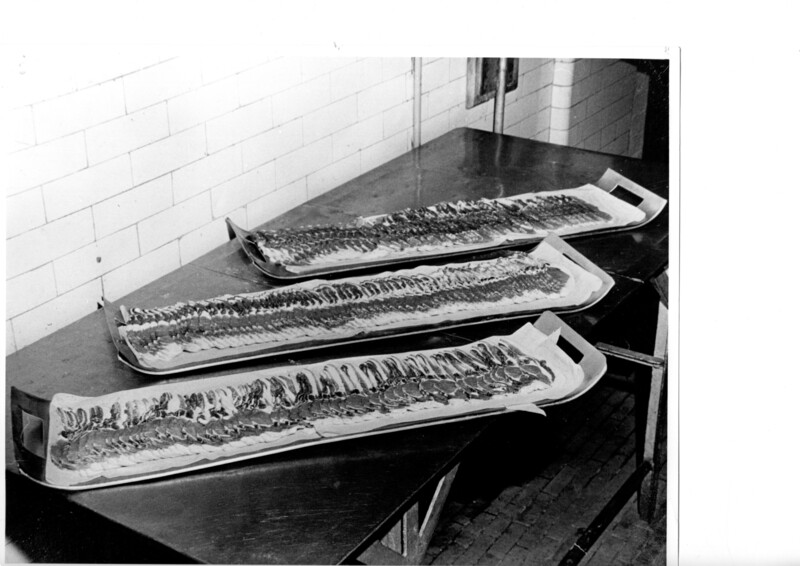 Viewed overall, it improved the taste which was and remained a key feature of Harris bacon. Events were about to unfold in Ireland that would not only turn their world upside down, but would set the background for two of their most important inventions. It was the potato famine that occurred between 1845 and 1852. When it was all over, more than a million people died and another million immigrated to flee the devastating conditions in Ireland. The disaster in Ireland had a severe impact on the Harris brothers, as it did on food production around the world. The pigs stopped arriving in Bristol, threatening the existence of the butchers of Calne. George and his mom, Mary hatched a plan to try and rescue the situation. The plan was to send George to America by ship. 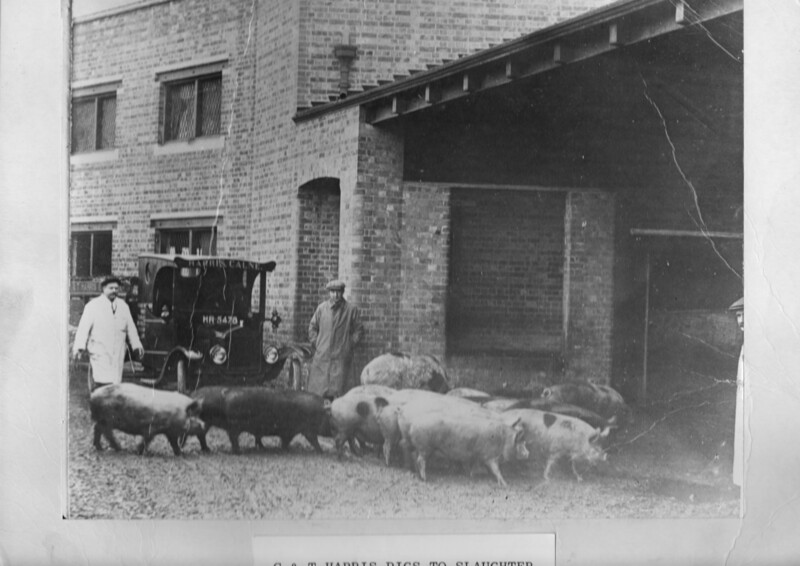 “The idea, they decided, was for George to strike up a pig business deal with American farmers and figure out a way to transport their slaughtered animals across the Atlantic in boxes packed with salt to ward off spoilage during the long journey. On its way to England, the meat would cure into ham and George’s entrepreneurial venture would save the family.” (Smithsonianmag) The plan was not novel. By 1847 barrel pork has been exported from America to England for years. On Saturday, 4 November 1843, a circular appeared in Boon’s Lick Times (Fayette, Missouri) by George K. Budd where advice is given to American pork producers on what they can do to ensure that the barrel pork reach England in an excellent condition in order to fetch the best possible price. George arrived in America witnessing the misery of the arriving Irish. “For a year he traveled about America visiting many bacon-curers, and sending home bacon, lard, cheese, and other provisions. After a brief visit home in the summer of 1848, he again returned to America and opened a bacon curing establishment in Schenectady (New York State). The venture was not successful, however, and the American branch was closed.” (british-history) In the process he was exposed to a development in America that would transform the way that bacon is cured and would give rise to the birth of the legend. Denmark was, as it is to this day, one of the largest exporters of pork and bacon to England. 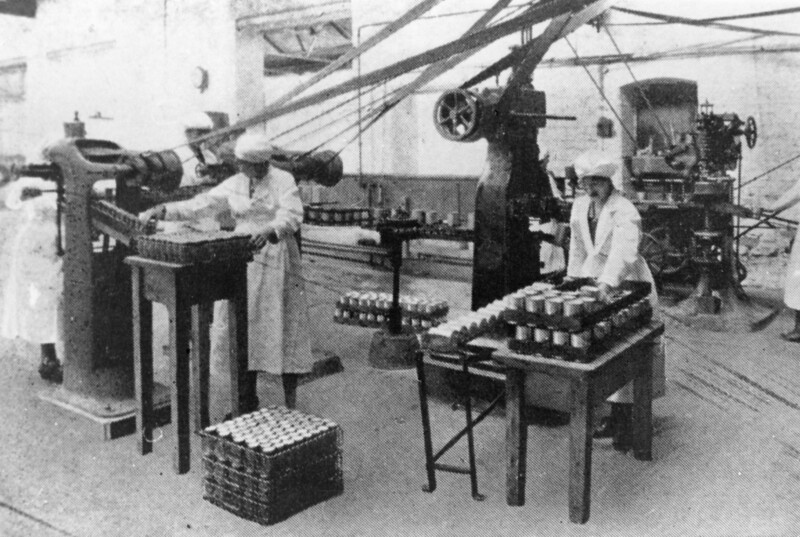 The wholesale involvement of the Danes in the English market made it inevitable that probably at least 50 years after the Danish invention, a bacon curer from Denmark must have found his way to Calne in Wiltshire and the Harris bacon factories. The tank-cured method, as it became known, was adopted by Harris and a true legend was born. A major advantages of this method is the speed with which curing is done compared with the dry salt process previously practiced. Wet tank-curing is also more suited for the industrialisation of bacon curing and have the added cost advantage of re-using some of the brine. It allowed for the use of even less salt since the injected brine along with a cover brine were distributed throughout the muscle much faster than was the case with the dry curing process. Injection with a single needle injector was time consuming and soon it was replaced by multi-needle brine injectors. 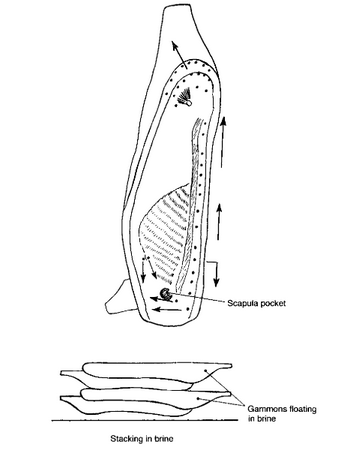 Below is a diagram indicating the position where brine was injected with the stitch-pumping method. The right size pork cut was required. A 1958 publication gives the following description of a typical Wiltshire pork cut (Warde, F. and Wilson, T.; 2013: 55). The Wiltshire bacon side, divided into four main cute. 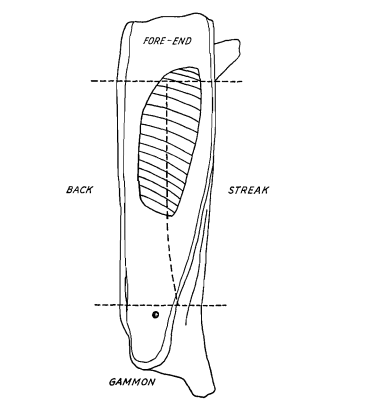 Gammon, fore -end, back and streak. The line of division may vary slightly according to the conformation of the side, the prevailing market price and the individual cutter. 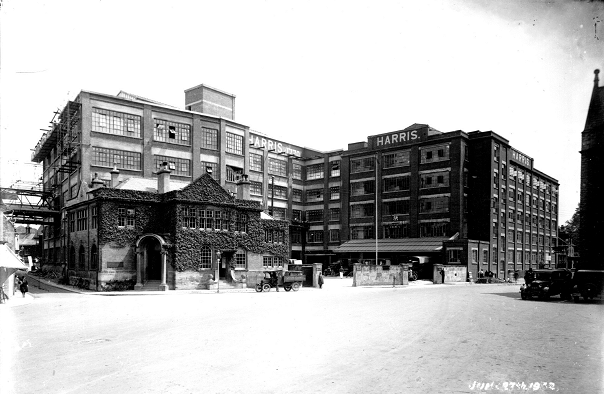 It is a matter of profound interest that the Harris bacon factories continued using tank curing for many years following World War One. Several studies emerged showing the superiority of the sodium nitrite brine over the Wiltshire method from a microbial perspective and still it prevailed. Tank curing is practiced to this day by at leadt one large and sophisticated bacon curers in the UK. 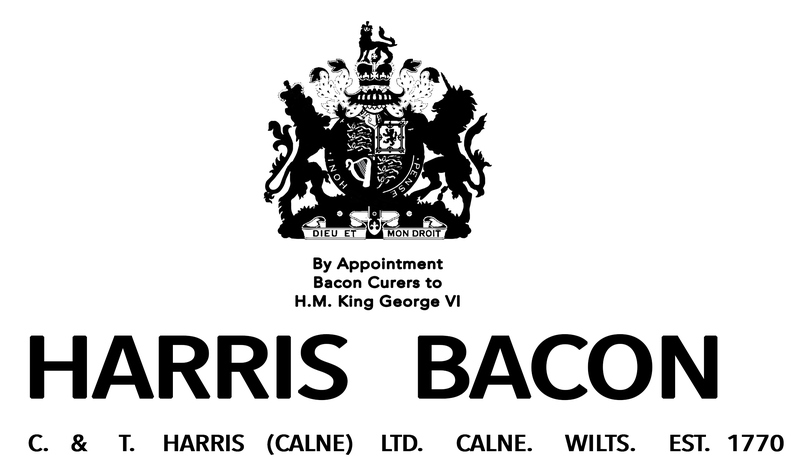 Reflecting on the Harris brothers and the creation of their legendary Wiltshire bacon cure is a lesson in business as much as it is a lesson in building a bacon curing company. The first lesson is that they relentlessly searched out competitive advantages. They found it in the use of refrigeration and very cleverly patented it. Right from the start they identified taste as the central distinguishing feature of their bacon. They added sugar to the dry cure, possibly borrowing from the well known concept of adding sugar to the wet curing brines. At the beginning of the 1900’s, they learned from the Danes who developed a system of bacon curing that exploited discoveries at the end of the 1800’s by several scientists that nitrite was the real curing agent and not nitrate. The system not only employed the direct use of nitrite in curing mixes through the use of the Danish concept of a mother brine, but they combined it with nitrate which they injected into the meat, thus creating rapid diffusion of the brine throughout the muscle and allowing for a future source of nitrite as bacteria in the meat reduced the nitrate to nitrite, over time. This curing system was ideal for a factory and a large scale curing environment. The key feature of the Danish brining method was an even better tasted than any of their previous curing systems, making taste the primary feature of their rise to dominance. A second lesson is that they relentlessly stuck to a formula that worked. 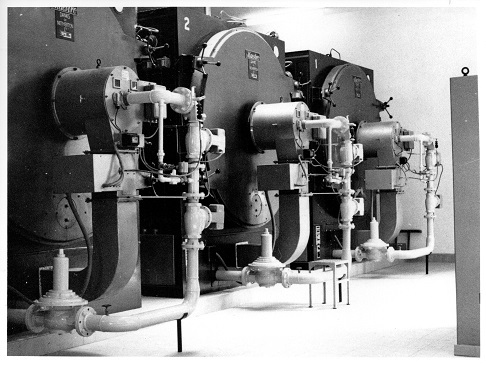 New brine systems were being experimented with, especially at the beginning of the 1900’s. 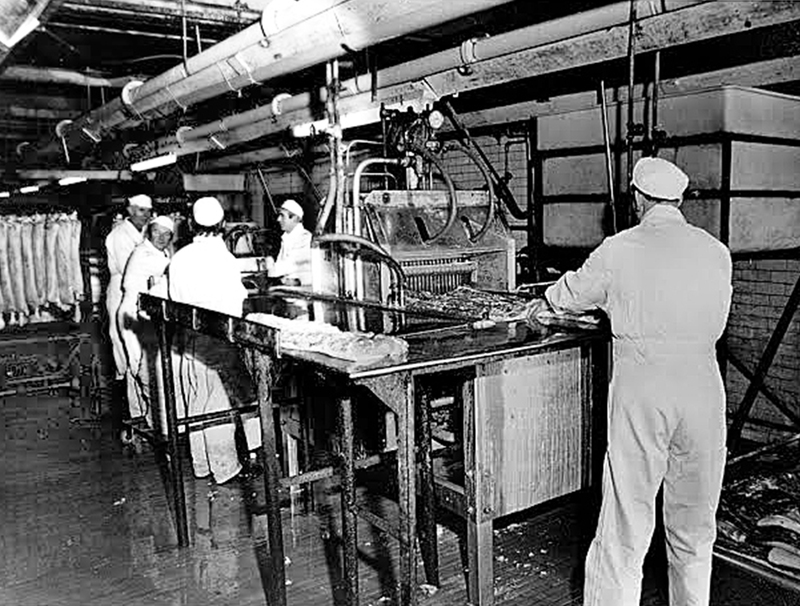 After the First World War, sodium nitrite replaced potassium or sodium nitrate in bacon curing systems almost everywhere on earth. Despite this, they stuck to tank curing, insisting that it simply tastes better. This focus in the face of what I can only imagine was overwhelming pressure to change, is a lesson that I will personally never, ever forget. A man once told me that the main thing is to keep the main thing, the main thing. That this is the main thing! In bacon curing, the main thing is not yield, but taste! This is what created the legend of C & T Harris and their Wiltshire cure. There are other facets to the story. The story is epic and more is to come! Special thanks to Susan Boddington (SB), curator of the Calne Heritage Centre, for the liberal supply of information, insights, advice and photos. Cullen, L. M.. 1968. Anglo-Irish Trade, 1660-1800. The University Press, Manchester. Horowitz, R. 2006. Putting Meat on the American Table. The Johns Hopkins University Press. Kha, AR. 2006. Cryogenic Technology and Applications. Elsevier, Inc.
Lawrie, R. A.. 1985. Meat Science. Pergamon Press. Malcolmson, R. and Mastoris, S.. 1998. The English Pig: A History. Hambledon Press. Susan Boddington (SB) is the curator of the Calne Heritage Centre. Information from private correspondence. Warde, F. and Wilson, T.. 2013. Ginger Pig Farmhouse Cook Book. Mitchell Beazley. Wilson, W. 2005. Wilson’s Practical Meat Inspection. 7th edition. Blackwell Publishing.